Monday, May 1, 2017 7:30 PM Magruder AWAY 10 Clarksburg High School HOME 3 Game Recap The team played a strong first half, and a great defensive game. Magruder’s defense kept the shooters outside, so there were few opportunities to score. Our last regular season game is Thursday at Blair. Monday, April 24, 2017 7:15 PM Watkins Mill High School AWAY 6 Clarksburg High School HOME 7 Game Recap A close game in the cold and rain. The team came together in the 4th quarter to hold off Watkins Mill’s come back. Friday, April 21, 2017 7:15 PM Clarksburg High School AWAY 1 Poolesville HOME 14 Game Recap The team played a strong Poolesville team and got into some foul trouble. Saturday, April 22, 2017 11:30 AM Seneca Valley High School AWAY 6 Clarksburg High School HOME 15 Game Recap The team had a strong showing on a rainy day. All players had a chance to work the ball around and take some shots on goal. Wednesday, April 19, 2017 7:15 PM Gaithersburg Sr High School AWAY 12 Clarksburg High School HOME 6 Game Recap The team played a strong first half, but was unable to hold on in the second. Our next game is this Friday, at Poolesville. Tuesday, April 4, 2017 7:15 PM Clarksburg High School AWAY 8 Quince Orchard High School HOME 21 Game Recap The team played a strong first quarter, but QO pulled away in the second. Despite a late push from the team in the third and fourth, the team was unable to come back. Wednesday, March 29, 2017 7:15 PM Clarksburg High School AWAY 2 Northwest High School HOME 10 Game Recap Clarksburg faced a strong opponent and had some good looks, but came up short. Our next game is Friday vs. Seneca Valley. 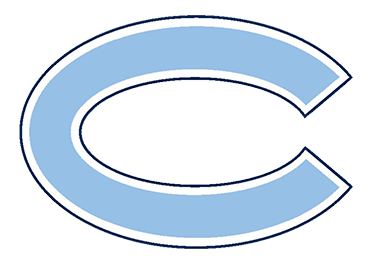 Friday, March 24, 2017 7:15 PM Clarksburg High School AWAY 6 Northwood High School HOME 14 Game Recap Clarksburg played at a high level, but lost to a focused Northwood team. Tuesday, March 21, 2017 6:00 PM Thomas S Wootton High School AWAY 19 Clarksburg High School HOME 3 Game Recap Varsity Boy’s Lacrosse lost a difficult game against a strong Wootton squad. Goals were scored by Blake Hunt, Tim Lehr, and Ali Baloch.